UNESCO Youth Forums are an integral part of the UNESCO's General Conference. The 9th UNESCO Youth Forum, will take place in the autumn of 2015, immediately before the 38th session of the General Conference, at UNESCO Headquarters, Paris, bringing together young women and men from across the world to discuss youth issues and find solutions. In Dar Es Salaam, Tanzania, the capacity building training was organized as a preparatory activity towards the Paris meeting. 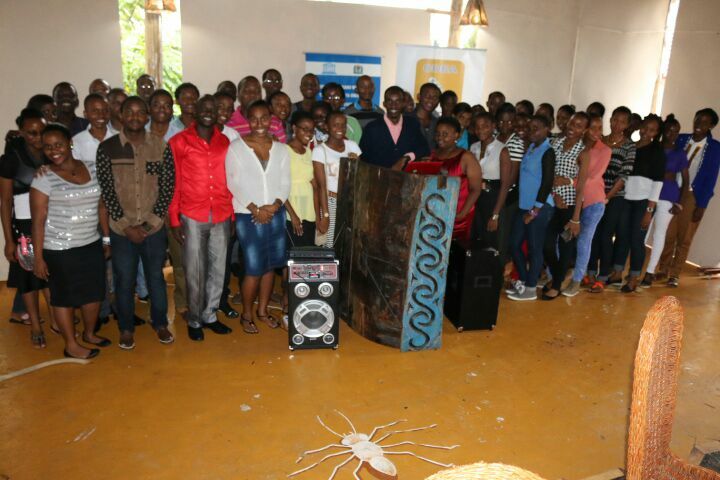 The training took place on March 21st, 2015 at Eco Sanaa Terrace - Mikocheni B. Taking part were invited representatives from different backgrounds, youth from higher learning institutions and universities, youth organizations and civil society. 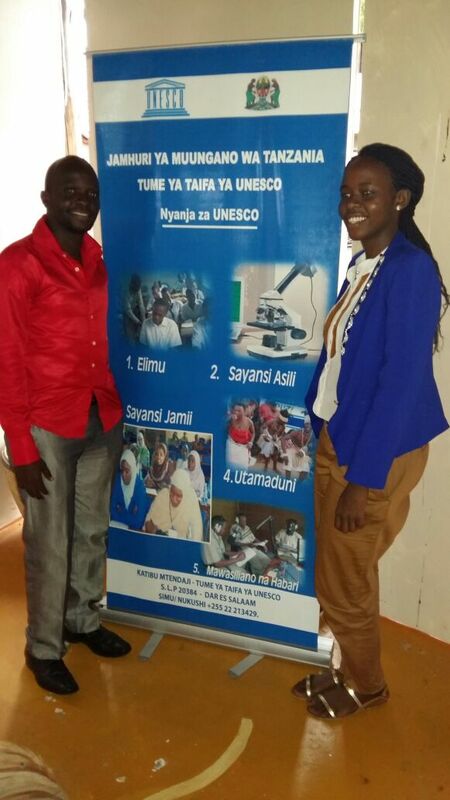 The Tanzanian Youth representative at UNESCO, Mr. Seth Mkisi, facilitated the sessions. Participants at the UNESCO Youth Capacity Building Forum in Dar es Salaam, Tanzania. Each member state (delegate) was supposed to go back to their respective countries to work on these three major issues and write feedback to the UNESCO Youth Forum headquarters. They also had time for online discussions to share progress and challenges and how to inspire each other. The main objective of these three issues is to prepare youths to take part/action in different aspects in their country such as formulation of youth policy and in decision making. Lastly, requirements for participation in the 9th UNESCO meeting were presented, with participants keenly evaluating their eligibility. The Tanzanian Chapter of the Catholic Youth Network for Environmental and Sustainability in Africa (CYNESA) was ably reprtesented at the Dar training Dar capacity building training by Mr. Desdery Moses and Ms. Lilian Samson. They had excellent networking opportunities with fellow youth, including Loyola High School students. The Jesuit-run school is one of four pilot schools participating in CYNESA's climate change tookit project. Desdery Moses engaged fellow participants with a quick but enthralling presentation on the mission and work of CYNESA, drawing considerable interest from some of the Loyola students, who wanted more details on how to join and be part of the team, followed by group discussions on the presence of CYNESA in Dar and further participation in UNESCO forums. The capacity building training certainly inspired CYNESA Tanzania to interact, dialogue and network with other youth civil society groups, a foundation that will be built upon for future work. Article by: Mr. Desdery Moses. The National Catholic Youth Centre, Mji wa Furaha (Kiswahili for Village of Peace), celebrated 25 years of its establishment on the 8th of March, at a colorful Mass presided by His Eminence John Cardinal Njue, the Archbishop of Nairobi. The Apostolic Nuncio to Kenya and South Sudan, Archbishop Charles Balvo, the Chairman of the Commission for Pastoral and Lay Apostolate and Bishop of Murang'a, Rt.Rev. James Maria Wainaina and Fr. Charles Odira, concelebrated the Mass along with other youth chaplains. In his homily, Cardinal Njue called on the young people to strive to be close to God, in order for them to be a manifestation of His presence on earth. “Open your ears and hearts and allow the words to germinate and grow in your hearts, remain close to God and always be united with him,”, he invited the youth. This message was enforced by the Apostolic Nuncio, who made reference to the World Youth Day theme for 2015, "Blessed are the pure in heart for they shall see God. He invited young people to always be ready to serve God and to be a source of hope and joy for their communities. CYNESA is working towards bringing the Church's message on care of creation to young people and will be organizing forums to disseminate the eco-encyclical, when it is released, to parish groups and youth movements across Africa. The CYNESA-Kenya team was present at the celebrations, represented by Edna, Alpha and Roselyne. During his visit to the Philippines in January 2015, Pope Francis implored young people to be good stewards of creation, saying "We need to see, with the eyes of faith, the beauty of God’s saving plan, the link between the natural environment and the dignity of the human person. Men and women are made in the image and likeness of God, and given dominion over creation (cf. Gen 1:26-28). As stewards of God’s creation, we are called to make the earth a beautiful garden for the human family." 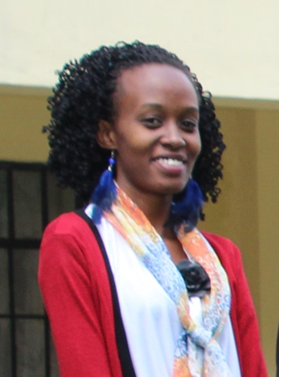 CYNESA is working towards bringing the Church's message on care of creation to young people and will be organizing forums to disseminate the eco-encyclical, when it is released, to parish groups and youth movements across Africa. Our presence at the National Youth Mass at Mji wa Furaha is a good example of how we are reach out to young people and we look forward to more gatherings. Pope Francis has this week, during Mass at the Casa Santa Marta, reminded Christians of their duty to care for creation. We must be "careful not to become masters of Creation, but to make it go forward, faithful to its laws", he said in his homily. He went on to add that, "When we hear that people have meetings about how to preserve creation, we can say: 'No, they are the greens!' No, they are not the greens! This is the Christian! This is 'our response to the' first creation 'of God. And' our responsibility. A Christian who does not protect Creation, who does not let it grow, is a Christian who does not care about the work of God, that work that was born from the love of God for us. And this is the first response to the first creation: protect creation, make it grow. " This call from Pope Francis could not have come at a better time for organizations such as CYNESA, which hosted its first summit of young Catholics from 6 African countries in June 2014. In an interview at the closing of the CYNESA Summit last year, the Apostolic Nuncio to Kenya and South Sudan, His Excellency Archbishop Charles Daniel Balvo, hailed CYNESA as an important initiative and encouraged the young to continue to reach out to their peers all acros Africa. Early this year, CYNESA participated in the formation of the Global Catholic Climate Movement (GCCM), an international coalition of Catholic organizations and individuals that, in union with and in support of the pope and bishops, seeks to raise a strong Catholic voice in global climate change discussions. Are you an energetic, tech savvy, enthusiastic, driven young person bubbling with ideas and engaged in community based adaptation to climate change? If yes, then here is an opportunity for you to participate at the 2015 Youth Conference on Community Based Adaptation (CBA) to Climate Change. Come join other young people to share experiences, strategize, learn and interact with experts and practitioners in this area. The youth conference will run parallel to the 9th International Conference on Community Based Adaptation (CBA9) which will be held from 24th-30th April 2015 in Nairobi. 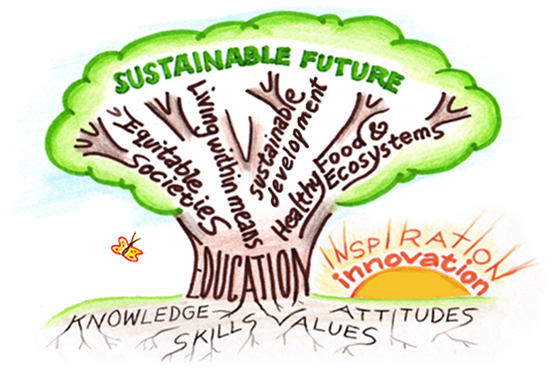 The main objective is to build and enhance the knowledge of young people on community based adaptation practices and policies. We are targeting 150 participants -100 drawn from Kenya and 50 international youth participants. 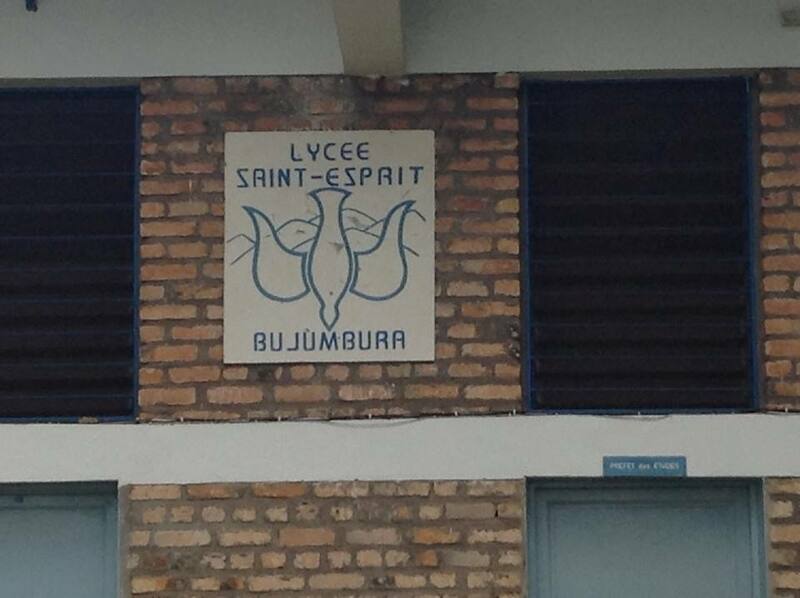 The Lycee Saint-Esprit (Holy Spirit High School) is the only Jesuit-run secondary school in Burundi. While it is not as large, in comparison to other Jesuit schools in the Great Lakes Region, it is the 'School of Excellence', where intelligence and passion for nature have became part of the tradition. On November 21st, 2014, the environmental club of the school hosted the CYNESA Executive Director, Mr. Allen Ottaro, and organized an interactive forum during which they shared with him their local experience, hopes and desires for a clean and healthy environment. This environmental club is like a tree nursery. The majority of the students are in the early years of their studies. What is most impressive, is their courage, their responsibility and their sense of creativity despite their young age. This was exhibited during a bright and rewarding debate on deforestation moderated by Mr. Ottaro, which eventually gave way to a guided tour of the school grounds and especially to admire their initiatives. Their motivation was most impressive. Young, determined and with the assistance and the support of the patron of the environmental club, these young people have launched an environmental awareness campaign within their high school. 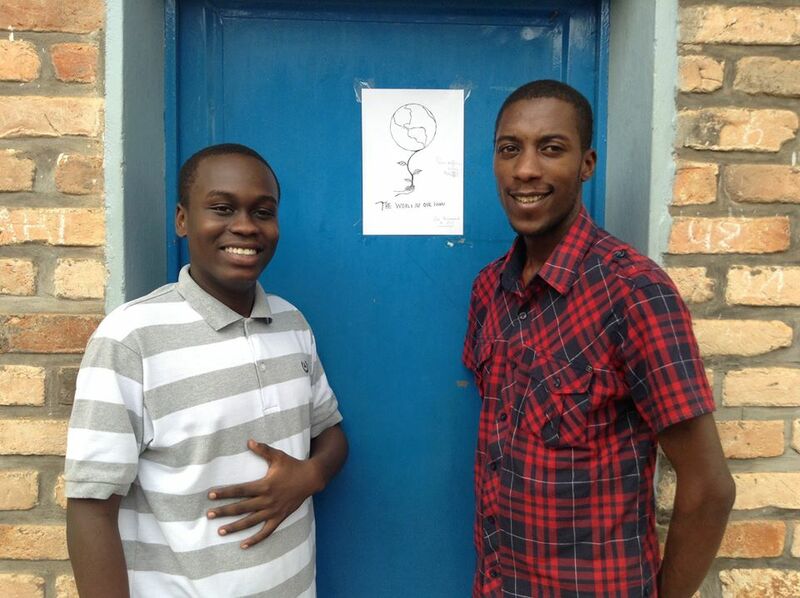 The campaign consists in putting drawings on each door of every classroom. The drawings invite youth to take care of creation and to continue the campaign beyond their high school and extend it to their peers in other schools. They give themselves, body and soul to keep their campus green. This is indicated by the various recycling points designated by the students. Every Friday, they sacrifice their afternoon by dedicating themselves to cleaning their school compound, to training sessions or to visits in nature. The visit was closed with the presentation of a certificate of participation in the first workshop on Climate Change, held in Bujumbura from the 19th to 20th November 2014 and organized by CYNESA Burundi. CYNESA Burundi promised to continue closely supporting the Club and in the coming days, will launch a project involving paintings in nature across Jesuit schools in the region. "Today the ecological crisis has assumed such proportions as to be the responsibility of everyone.... Its various aspects demonstrate the need for concerted efforts aimed at establishing duties and obligations that belong to individuals, peoples, states, and the international community." New Catholic Climate Movement Launched! 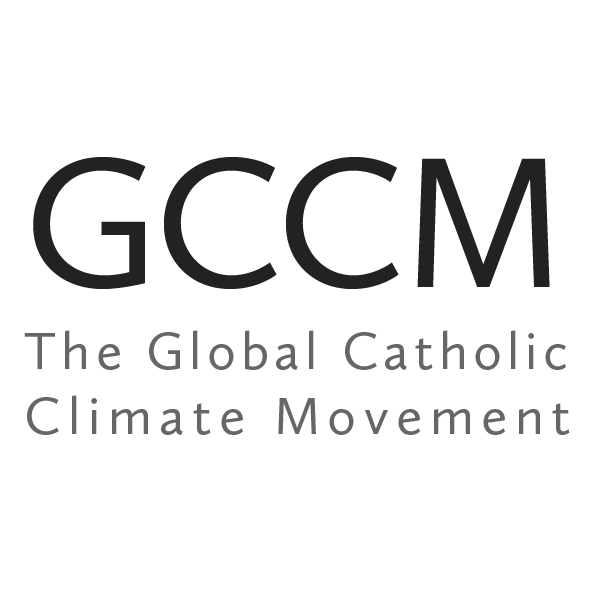 The Global Catholic Climate Movement (GCCM) has been officially launched this week (January 14th). The Global Catholic Climate Movement has put out a statement that will be presented to Pope Francis by Cardinal Tagle, Archbishop of Manila, during the Holy Father's visit to the Phillipines, January 15th - 18th. A member of GCCM and author of CatholicEcology.net , Mr. William Patenaude, says the movement is the work of the Holy Spirit, "I am blessed to be a founding member of the group. I’ve made some wonderful new friends (like Dr. Pablo Canziani of Argentina, whom I interviewed last week). And I got to watch the Holy Spirit in action. What beside grace can bring together so quickly and effectively a group of strangers that carve out time every week to build relationships and consensus? Certainly Skype helped. But the unifying presence of Christ made all the difference." CYNESA is a member of this new coalition and looks forward to help grow the movement and to share perspectives of accompanying communities and young people in Africa affected by climate change. Other members of the GCCM include: Catholic Earthcare Australia; Franciscan Action Network (USA); Acción Católica Argentina (Argentina); Archdiocese of Manila Ecology Ministry (Philippines); Franciscans International; Jesuit European Social Centre (Europe); Columban Center for Advocacy and Outreach (USA); EcoJesuit (Asia/Europe); Reconciliation with Creation, Jesuit Conference Asia Pacific (Asia); CatholicEcology.net (USA); Ciara Shannon, Our Voices (China); Jeffry Odell Korgen, Our Voices and GreenFaith (USA); Dan Misleh, Catholic Climate Covenant (USA); Dr. Pablo Canziani, miembro Red Argentina de Laicos, referente Acción Católica Argentina, Investigador Principal Conicet (Argentina); Dr. Tobias Winright, Saint Louis University (USA); Dr. Celia Deane Drummond, University of Notre Dame (USA); Dr. Charles Camosy, Fordham University (USA); Dr. Holly Taylor Coolman, Providence College (USA); John Berkman, Regis College, University of Toronto (USA); Dr. Erin Lothes, College of Saint Elizabeth (USA); Lindo Lío (Argentina); Columban Missionary Society, Philippine Region (Philippines); Leadership Conference of Women Religious (USA); Catholic Rural Life (USA); Sisters of Mercy of the Americas’ Institute Leadership Team (USA); EDiPA Equipo Diocesano de Pastoral Ambiental, Obispado de San Isidro (Argentina); English Speaking Conference of the Order of Friars Minor; Catholic Charities (USA). 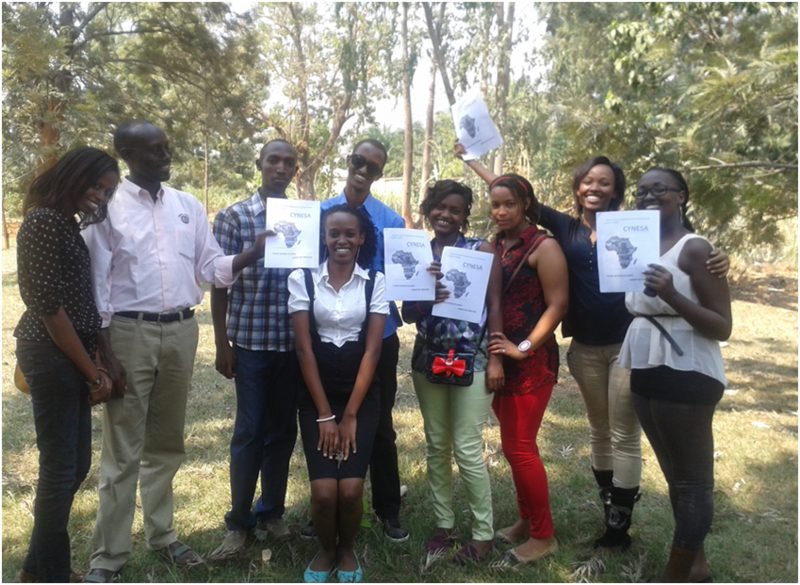 On 29th November, 2014, CYNESA brought together 34 participants from across Nairobi and its environs for an open day at the St. Paul’s University of Nairobi Chapel’s hall. The participants represented 21 Catholic parishes from as far as Thika deanery and as close as St. Paul’s UoN. Of great significance was that the participants were not exclusively Catholics, but included believers from different churches. This was attributable to the fact that CYNESA welcomes all youth and partners from across the global divide and the only polite understanding is that they appreciate that CYNESA is rooted in the Catholic faith and Catholic Social Teachings. The Emcee for day, David Munene, called the gathering to order at around 09:37. He then invited the CYNESA core team members to introduce themselves. David proceeded to invite Mr. William Kimaya, who was representing the Catholic Archdiocese of Nairobi Youth Council, to lead the gathering in the opening prayer and give a welcome brief on behalf of the host archdiocese. Mr. Kimaya expressed great interest in the efforts CYNESA was making in offering an African, faith-based, youth-led response to the challenges of environmental degradation. Allen Ottaro, CYNESA’s Founding Executive Director, gave an organisational overview of CYNESA and encouraged the youth present to join the network and participate proactively and actively towards the common good. The CYNESA open day was also honoured to have Mr. Herman Kwoba who works with the Ministry of Environment and is the coordinator for the African Youth Initiative on Climate Change (AYICC). Herman inspired the youth to take up the challenge of voicing the ecological concerns around them by engaging in constructive advocacy. Herman’s presentation began with an exercise where participants had an opportunity to define the term advocacy in their own terms. 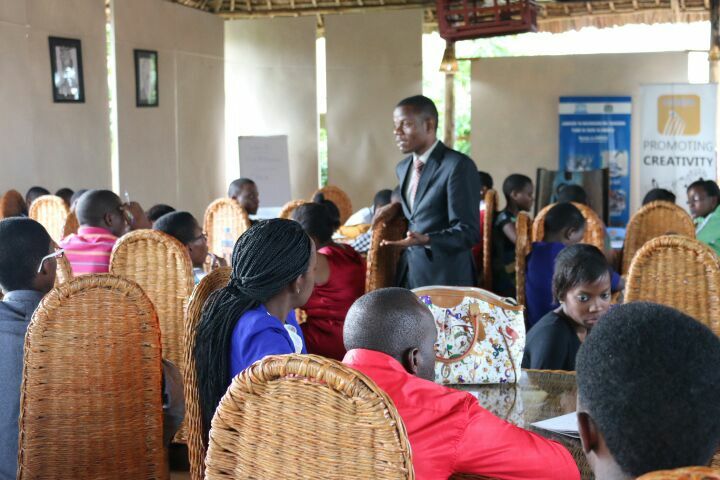 Herman helped the participants in familiarising themselves with climate change policies. These included action of the NCCAP (2013-2017) with focus on low carbon climate resilient development, mainstreaming climate change response, research, education and knowledge, and climate change governance. He argued that climate change governance entails mainstreaming issues of gender, youth, and special needs’ groups in climate change actions. Herman also touched on the environmental policy, the green economy strategy, UNFCC and COP 20, CBA 9, Environmental Campaign 2014, the challenges faced and the proposed way forward. The challenges he mentioned included interest in policy, institutional set up, mentorship gap, and financing. Among his recommendations for the way forward, Herman cited the great need for the youth to understand what is required, honesty of efforts, effective coordination, and research especially in REDD+, Carbon Credits, and REs. The guest speaker for the day was Fr. Pedro Walpole, SJ from the Philippines. Fr. Pedro is the director of research at the Ateneo de Manila University in the Philippines and coordinator of Environmental Science for Social Change and Reconciliation with Creation for the Jesuit Conference of Asia Pacific. He was in Nairobi as the lead facilitator of a training seminar on Ecology in Nairobi organised by the Jesuit Africa Social Centres network (JASCNET), from 24th – 28th November, 2014 where CYNESA was represented by Allen Ottaro, Ann Kirori, and David Munene. Reiterating that global sustainability is a prerequisite for human development at all scales from local community to national and the world economy, Fr. Pedro offered a simple formula of 3-6-9 to remember. The numbers represent temperature rise in degrees, the sixth extinction, and the global population respectively. Fr. Pedro also contextualized his presentation to the environmental concerns in Kenya and focused on pollution, deforestation, poaching, and water crisis. He also engaged the participating youth in sharing on the challenges they face. Offering practical case studies from Mindanao, Philippines where he has been working with the local community, Fr. Pedro also asserted that there was need to engage students in transformative education. According to him, transformative education “recognizes the need to go beyond academic boundaries to improve the capacity to integrate knowledge at many levels” and “seeks to get away from textbook learning; to get into the community, to provide a lived understanding and a basis for action”. CYNESA remains grateful to Fr. Edwin Hunja (youth chaplain for the Archdiocese of Nairobi) and St. Paul’s for hosting and supporting the open day, Edna Karijo for being the CYNESA communications’ champion, Rukuz Productions for the camerawork and the talented, informative, intriguing, entertainment. On Saturday, October 11th, young people drawn from the Western Deanery of the Catholic Archdiocese of Mombasa came together in a forum, on Catholic teaching on care of creation and environmental sustainability. The ‘St. Francis of Assisi Youth Forum on Care of Creation’, was organized as part of the formation program of the Catholic Youth Network for Environmental Sustainability in Africa (CYNESA), but also marking the Feast of St. Francis of Assisi, Patron Saint of Ecology. The youth were empowered to take care of the creation as mandated by God, in order to avoid environmental degradation and harsh effects that come along with climate change which poses a big threat to biodiversity. We had a brilliant opening session from the CYNESA Executive Director, Mr. Allen Ottaro who took us through what CYNESA is all about and the dream of making each person to be responsible for the environment. He also talked about the #fastfortheclimate campaign,an initiative which invites people to fast on the first day of every month, as a way of expressing solidarity with the communities that are most vulnerable to the effects of climate change. “Youth are inspired to come together, in an initiative that is spiritually grounded, in order to achieve a common goal of ecology conservation. Saint John Paul II reminded us that it is our collective responsibility to care for the environment. We as young people should start where we are, do what we can and with the resources we have to care for creation”, Mr. Ottaro said in his concluding remarks. Brother John from the Mombasa Caritas office and a member of the Order of St. Joseph, spoke about the Biblical teaching of nature conservation. We discovered that as young Catholics, we should lead by example by acknowledging the glory of His righteousness and wonders of His love by spreading affection and service not forgetting creation. When God created the world and nature, He saw it beautiful and mandated us to take care of it. It is expected of us to build a relationship with the Holy Trinityand develop a sense of how we are called to respond to God’s love through creation. The afternoon session was dedicated to an interactive session led by Anne Kirori, a CYNESA core team member from Nairobi, on what knowledge we had acquired earlier in the day. We got to understand the roles of young people in caring for creation as to love creation and know the benefits that come with nature conservation, planting more trees, planting mangroves along ocean shores, organizing beach cleanups, involving the community in environmental conservation, involving organizations to incorporate youth groups in facilitation of environmental sustainability trainings and projects, waste disposal and management and utilization of organic fertilizers as opposed to chemical ones among others. Each participant of the forum was equipped with helpful knowledge on environmental conservation. The CYNESA-Kenya Country Director, Ms.Balla Galma, wrapped up the day by fielding questions from the participants and thanking them for their cooperation and a vote of thanks was given by Mr.Kelly Ngeti, the local organizer and Coast region coordinator. The Parish Priest, Fr. Kalua, celebrated the Eucharist for the parish children and the forum participants, urging the children to follow in the footsteps of their seniors, noting that they will be youth in the future. MERCI BEAUCOUP CYNESA!!! !ASANTE SANA CYNESA!!! The young-looking dark gentleman welcomed the CYNESA team of five (Kenya Charter) comprising of Allen Ottaro (The Founding Executive Director), Balla Galma (Country Director), Hubert Ndayisaba aka Rukuz (Media Director), Anne Kirori (Core Team Member) and David Munene (Programs Manager) to the Apostolic Nunciature, at a few minutes to 10:00 am. The Team was on a mission to meet with His Excellency Archbishop Charles Daniel Balvo, the Apostolic Nuncio to Kenya and South Sudan. Top on the agenda was to thank Archbishop Balvo for gracing the conclusion of the CYNESA Summit 2014 on June 20th and to brief him about what CYNESA is involved in with respect to concrete projects and plans. When Archbishop Balvo walked in, his unmistakable presence was further underscored by a stature to behold and a broad smile that is difficult not to reciprocate. He was very courteous to request individual introductions before proceeding to share about his experiences since the last time he was with the team at the June Summit. He shared his experience at the first ever United Nations Environmental Assembly (UNEA), and clarified that the role of the Holy See at such forums is purely limited to observation. However, much of what was achieved at the first UNEA were recommendations and wishes as opposed to binding commitments. The CYNESA-Kenya team listens keenly to Archbishop Balvo, the Apostolic Nuncio to Kenya and South Sudan. The CYNESA delegation took turns to brief the Nuncio about their various projects and initiatives and those still in the planning stages. Balla offered highlights on the Climate Change Toolkit that CYNESA is working on, piloting with youth in Jesuit institutions drawn from Kenya (St. Aloysius Gonzaga High School), Tanzania (Loyola High School and St. Peter Claver High School), and Zimbabwe (St. Peter’s Kubatana High School). The Climate Change Toolkit is intended to create awareness about climate change from a youth perspective, with the long-term vision of replicating the success in the entire continent. Balla added that CYNESA was working on this in partnership with the Alliance of Religions and Conservation (ARC). Commencing his briefing with reference to hills on a huge canvas portrait at the meeting lounge, David briefed the Nuncio about the Greening Hills Initiative. The Greening Hills Initiative is a project whose aim is to restore the lost glory of bare hills. The initiative is the brainchild of His Lordship Bishop James Maria Wainaina, the bishop of the Catholic Diocese of Murang’a in Kenya. "The project is still in its early planning stages", David explained, adding that the plan is to work with the communities living around the hills.The office of the Caritas Director, Murang’a Diocese is also a partner in the project. David mentioned that the CYNESA-Kenya team would be meeting with His Lordship and the Caritas Director at the end of October. Archbishop Balvo expressed interest in the project and even recommended that the implementation goes hand-in-hand with concrete, tangible actions especially with school children, as they tend to be very committed. He also hinted at possible individuals that he thought would be interested in advancing the project further. In his briefing, Allen talked about several issues that CYNESA was pursuing. 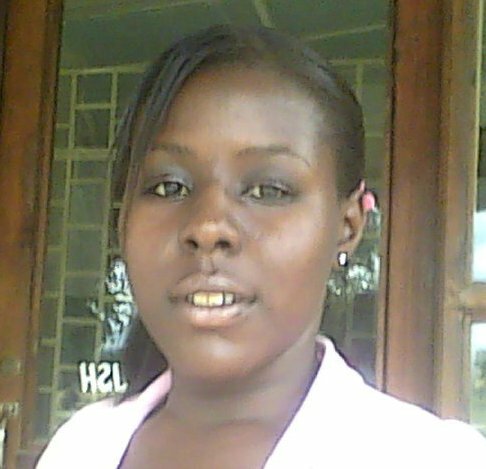 Among them, was the possibility of CYNESA venturing into South Sudan. 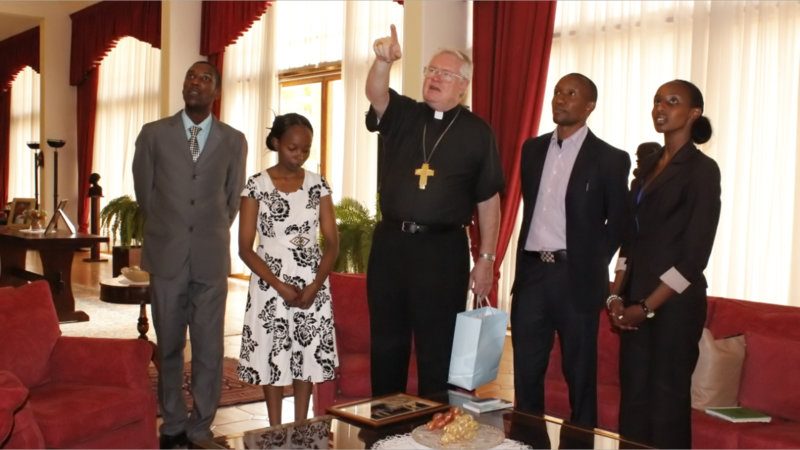 The Nuncio stated that he would be glad to provide links through the Catholic University of South Sudan. Allen also steered a round-table discussion about the expected Papal encyclical on ecology. Reiterating our commitment as Catholics to care for creation and why we do it, Archbishop Balvo indicated that this would be a crucial building block for the Church initiatives in addresing ecological issues. In addition, Allen mentioned CYNESA’s intentions to run side events at the World Youth Day in 2016 in Poland. The Nuncio recommended that CYNESA extend the horizon of this to include awareness creation and activities during the WYD 2016 Days in the Diocese, and expressed hope in the success of the idea.The last two agenda items that Allen addressed at the meeting, included participation in the UN Habitat Governing Council in 2015 and possible fundraising strategies. His Excellency stated that he would be willing to assist whenever called upon and whenever possible to advance CYNESA’s initiatives. Towards the end of the meeting, Ann presented Archbishop Balvo with a CYNESA polo-shirt and a framed photo of the Nuncio with the CYNESA delegation during the CYNESA Summit. 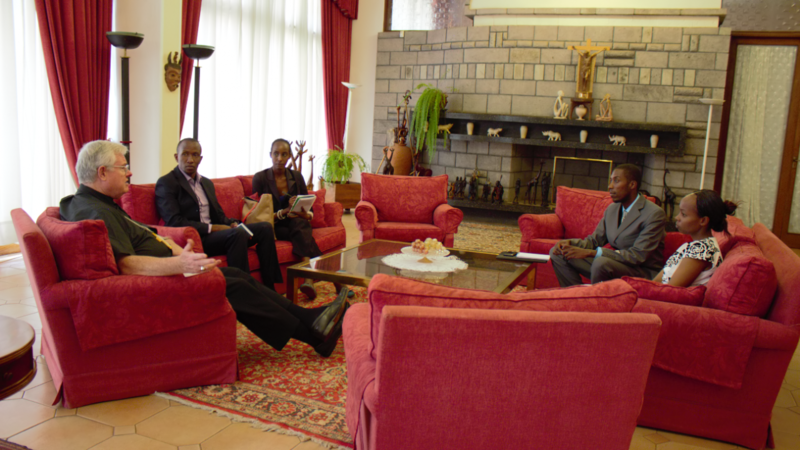 The meeting ended with Allen thanking Archbishop Balvo for making time to meet with CYNESA and he was equally grateful that the team had visited. 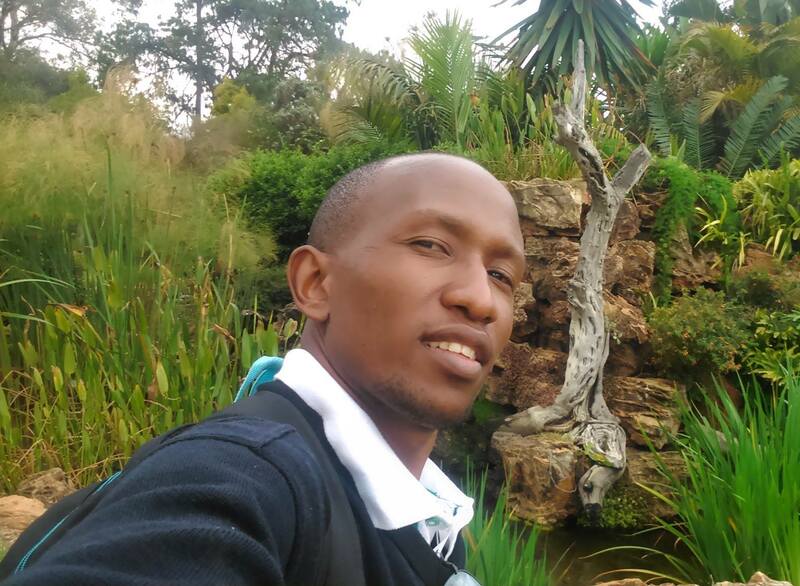 Mr. David Munene is the volunteer Programs Manager of the Kenyan charter of the Catholic Youth Network for Environmental Sustainability in Africa (CYNESA). 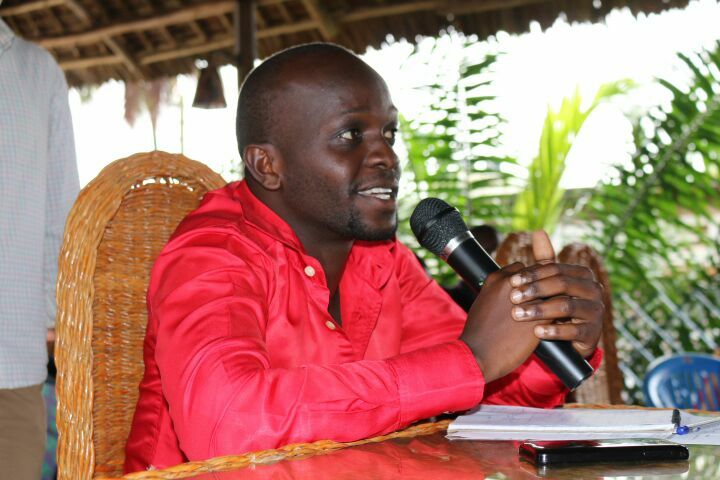 CYNESA Burundi takes root after Summit! 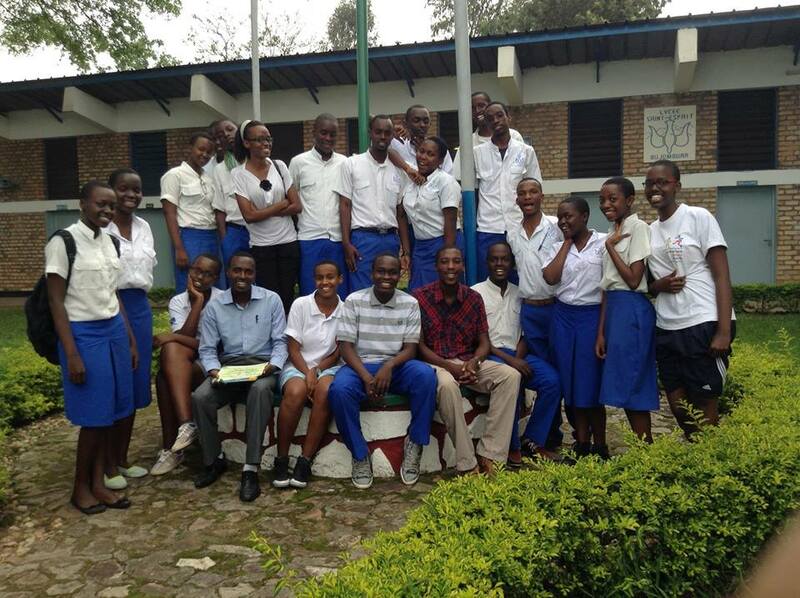 The CYNESA Burundi team is delighted to share with you news of its first meeting, which took place on a bright Sunday morning, July 13th 2014, on the premises of the Jesuit-run Holy Spirit High School, in the capital Bujumbura. The purpose of the meeting was to offer a platform for sharing the outcomes of the CYNESA Summit 2014; its mission, objectives and programs. After a breif presentation on CYNESA by the Burundi Country Director, Ms. Micheline Leila Butoyi, members had the opportunity for discussions and exchange of ideas, followed by a Q and A session chaired by Ms. Butoyi. Many useful suggestions were made, including some concrete and wise suggestions by a Jesuit of the Rwanda-Burundi region, Jean Bosco NIYOKWIZERA. In his remarks, he said, "Do not dream of changing the world, rather it is necessary to acquire the world. We must aim high, while keeping our feet on the ground because we are still in the process of hatching." He urged participants at the meeting to remain committed and to especially start by changing small things and bad habits of everyday life as it these changes that make the difference and lead the move towards greater things. The meeting ended with a family photo and the next rendezvous scheduled for August 2014, to plan and initiate activities. By: Butoyi Leila Micheline - Country Director, CYNESA Burundi.